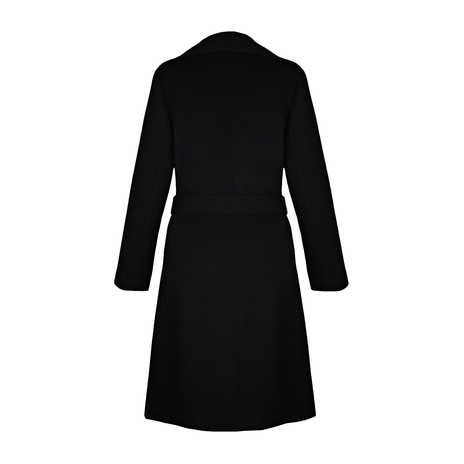 A classic belted A-line petite coat in a camel hue; this luxurious cashmere-wool wrapover coat is a lightweight coat requested by petite women worldwide for wear between seasons and layering. It can be worn with or without a belt, featuring side pockets and a concealed ribbon fastening; this ladylike staple neatly cinches the waist and is finished with an exaggerated collar. 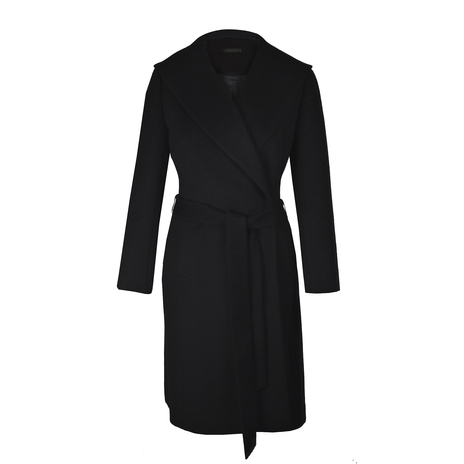 The coat cuts off above the knee on petites taller than 5'0 and at the knee on petites 4'10.